Juliette Asso (formerly Richard) joined LALIVE in 2013. 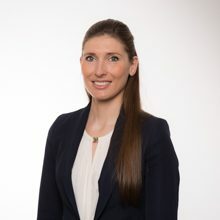 She specialises in international arbitration, including both commercial and investment treaty arbitration, with a focus on complex disputes involving major construction projects in the energy, transportation and telecom sectors. She has particular experience advising clients on quantum-related aspects of disputes. She has acted as counsel in numerous arbitration proceedings under various procedural rules (including ICC, Swiss Rules, LCIA, SCC and ICSID), governed by various procedural and substantive laws (including French, Swiss, Swedish, Ethiopian, Algerian, Qatari, Iraqi and international law). She also regularly acts as tribunal secretary. She is a member of several professional associations, including the Swiss Arbitration Association (ASA), ASA below 40, Comité Français de l’Arbitrage (CFA), CFA 40, Women Business Society and Arbitral Women. Before joining LALIVE, Juliette Asso trained in Paris with Freshfields Bruckhaus Deringer (2012) and Sullivan & Cromwell (2011). She also worked as an intern with DS Avocats (2009) and HSBC (2008) in Paris. Juliette Asso holds a Master in Business Law from the University of Paris II Panthéon-Assas (2011) and a Bachelor in Law from the University of Cergy-Pontoise (2010). She also holds an MBA from ESSEC Business School (Grande Ecole Programme) in Paris. Associate Juliette Richard also showed “outstanding” knowledge of the case. Addressing the Issue of Confidentiality in Arbitration - Proceedings: How Is This Done in Practice?